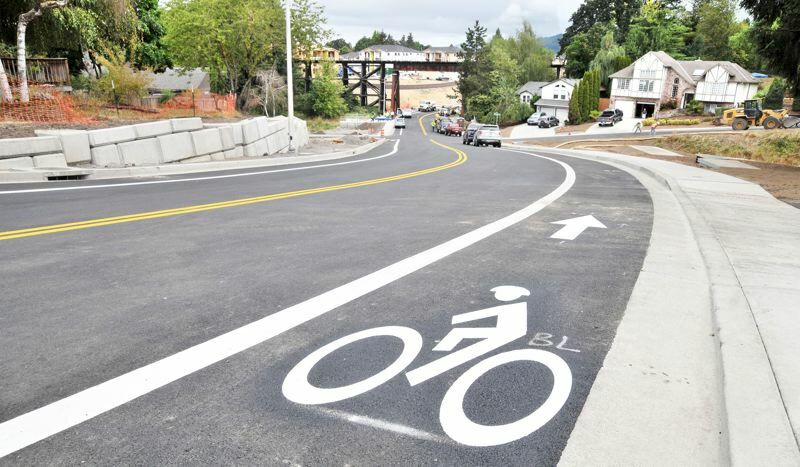 PSU study explores business, economic impacts of improvements for cyclists, pedestrians. As the city of Portland prepares to initiate 18 projects that will include new pedestrian crossings, bus lanes and bikeways through its Central City in Motion plan, researchers at Portland State University are studying how these types of improvements can benefit local businesses and the city's overall economy. Jenny Liu, PhD, an assistant professor at the Toulan School of Urban Studies and Planning and assistant director of PSU's Northwest Economic Research Center, and Jennifer Dill, PhD, director of the Transportation Research and Education Consortium (TREC) and National Institute for Transportation and Communities at PSU are leading the study. The study specifically explores how street improvements for bicycle and pedestrian mobility impacts retailers and other businesses. The first phase of the study, which explores data sources and methodologies, includes Portland, San Francisco and Denver. A second expanded phase of the study is a collaborative effort with partner cities that include Minneapolis; Indianapolis; Washington, D.C.; Pittsburgh; and Memphis. The second phase includes additional funding from Summit Foundation, and collaboration with PeopleForBikes and Bennett Midland. Liu noted that most previous studies are individual case studies that relied upon business interviews or merchant surveys, and a few recent studies have started utilizing local business retail sales or employment data before and after the street improvements. Most of the recent studies follow a 2012 study by the New York Department of Transportation and Bennett Midland that showed that these types of street improvements either had no impact or had a positive impact on retail vitality, including studies conducted in Seattle and San Francisco. "What we found is that there was a lack of rigorous and systematic methodology and data sources that allow researchers and policymakers to measure economic and business impacts on a corridor-level, geographic scale that can produce consistent, replicable and applicable results, and that is the reason why we embarked on this national research project," she said. TREC's research will be the first component of a larger national study of the economic and business impacts of street improvements for bicycle and pedestrian mobility. It will incorporate employment by industry sector, number of establishments and business revenues, among other economic and business indicators. 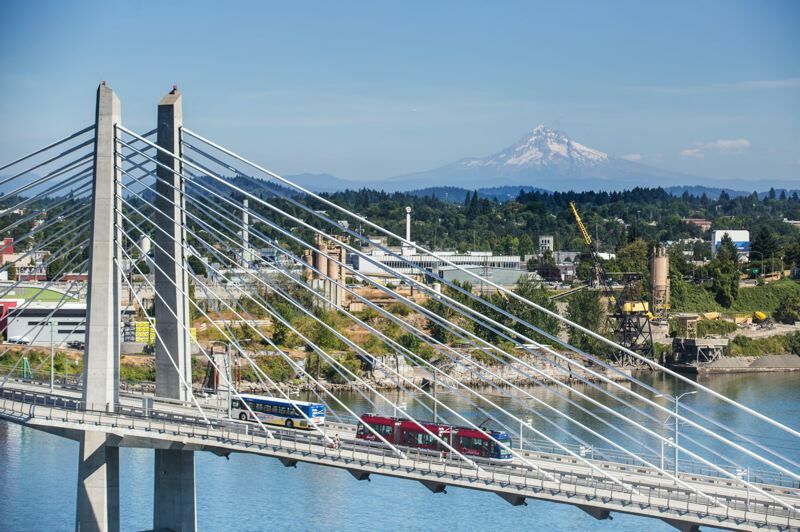 The study is intended to provide policymakers and planners with solid research and a practical foundation as they consider funding a multimodal transportation network and to support non-motorized transportation infrastructure investments, according to TREC. Liu said the current study builds on past research at TREC and PSU that addresses different components of the economic and business impacts of non-motorized transportation investments, including how consumer spending differs between cyclists, pedestrians and transit riders versus those who drive private vehicles and the property value impacts of bicycle infrastructure in Portland. A 2016 report by the Urban Land Institute noted that walking and biking are increasingly gaining popularity, with 50 percent of U.S. residents saying that walkability is a top priority when considering where to live and bicycling becoming the country's fastest-growing form of transportation for commuters. The U.S. Census showed that the number of people who travel to work by bike increased about 62 percent between 2000 and 2014. The report highlighted Portland, noting that, as of 2014, more than 7 percent of residents commuted to work by bicycle, compared with the national average of less than 1 percent. The report cited PBOT's data that shows bike commuting in Portland increased by 400 percent from 1990 to 2014, while transit had grown by just over 18 percent and driving had declined by 4 percent. A 2012 report by the League of American Bicyclists showed that the bicycle industry, bicycle tourism and the health benefits of cycling create jobs, economic activity and cost savings for regions that have invested in infrastructure related to cycling. At that time, bicycle manufacturing was a $6 billion industry, and the nation's 60 million annual recreational cyclists spent $46.9 billion on meals, transportation, lodging, gifts and entertainment. One study estimated the spillover effects of all bicycling-related activities at $133 billion, supporting 1.1 million jobs and generating $17.7 billion in federal, state and local taxes, the report states. That report noted that Portland saw $90 million in bicycle-related economic activity from retail, manufacturing, professional services and organized rides in 2008, an increase in value of 38 percent from 2006. TREC's study, which began in August 2016 and will be completed in late January, could help guide the Portland City Council, Portland Bureau of Transportation and others in future considerations about how best to invest in street improvements beyond those prioritized in the Central City in Motion program. Portland's streets, sidewalks and other transportation infrastructure will need to accommodate significantly more people as the Central City is projected to grow from 30,000 households to 70,000 households by 2035. The number of jobs in the area is expected to increase by 40 percent by then, according to PBOT.